Innovations and advancements in health care technology, especially with diagnostic medical imaging, have helped in achieving best-in-class care management across the globe. However, not all facilities have access to advanced equipment, let alone technology that is a few years old. This is largely prevalent in emerging markets, where economic constraints have affected demand. Even in mature markets, price sensitivity and smaller reimbursements have health care providers reconsidering purchases of new capital imaging systems. There is a growing need for the medical imaging infrastructure to adapt to the ever-increasing demand of imaging volumes and provide best-in-class diagnosis with a quick return on investment for the end user. 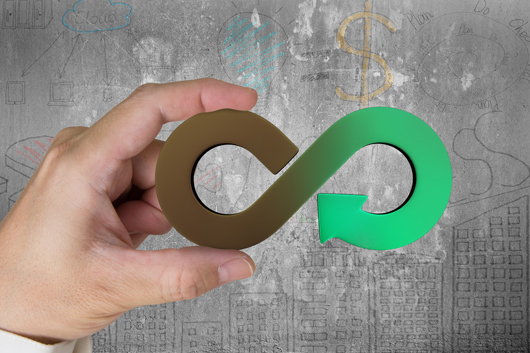 While it is not a new concept, the principle of circular economy has regained traction in recent years. Its aim is to optimize the usage of natural resources in a finite way, so as to drive waste out of the ecosystem and prolong the life of equipment. Refurbished medical imaging equipment serves this purpose of circular economy, through prolonging the life of the equipment, optimal use of resources, and reentering the business ecosystem. The push from the European Union (EU) and United States toward a circular economy has propelled the refurbished medical imaging equipment industry into an era of increased acceptance. The industry is valued at approximately $1.1 billion, with the United States and EU making up nearly 70% of the market. Both original equipment manufacturers (OEMs) and independent service vendors (ISVs) are playing a significant role in bringing refurbished equipment to every part of the world, helping health care providers achieve the highest care for their patients. Other stakeholders include components suppliers, industry associations, service providers, distributors, and remarketers. Even in the wake of an economic slowdown, refurbished equipment provides access to state-of-the-art equipment at a lower capital expenditure, and the return on investment measures the same as new equipment. Global sources for refurbished medical imaging equipment include the United States, Western Europe, Japan, and Australia, although in some countries local refurbishment—wherein equipment is refurbished and sold to an end user within the same country—predominates. In a few countries, including China, Brazil, and Turkey, regulations and state policies have slowed the adoption rate. Other countries restrict companies from selling refurbished equipment if there is no permanent refurbishment facility within the country. In terms of growth prospects in emerging markets, the Asia-Pacific region holds the most potential; this is due to increased investments in private health care, rapid increases in chronic diseases, and aging populations. Capital imaging devices such as CT and MRI—other modalities include ultrasonography, interventional X-ray imaging, and molecular imaging—are the most sought-after refurbished equipment, making up more than 50% of volume sales and providing the best value segment. The cost of refurbished medical imaging equipment can range anywhere between 50% and 80% of the original market price. Extending the life cycle of medical imaging devices involves a dedicated refurbishment process that includes international standards and good refurbishment practice (GRP). The European Coordination Committee of the Radiological, Electromedical and Healthcare IT Industry (COCIR) published a GRP Version 1 in 2007, describing a five-step procedure that manufacturers can follow to effectively refurbish equipment. In 2009, the Medical Imaging and Technology Alliance and Japan Medical Imaging and Radiological Systems endorsed Version 2. Additionally, member companies of COCIR fully support the Ecodesign Directive through this Self-Regulatory Initiative for medical equipment. The directive calls for a marriage between maximum efficiency of the equipment/service and a greener environment. EU directives such as Waste Electrical and Electronic Equipment and Restriction of Hazardous Substances are expected to create restrictions on medical imaging equipment originally sold outside the EU from being resold within the EU, even if undergoing complete refurbishment. GRP calls for five essential steps in the refurbishment process. First, identification of used/preowned medical imaging equipment is required. Several factors influence which equipment is eligible for refurbishment, such as the end user's need to upgrade their technology or trade in for a new machine. OEMs and ISVs look for certain criteria such as age profile, availability of spare parts, and market demand for the equipment. In other cases, companies can keep tabs on the age of the machine and approach the end user for a trade in. Second, deinstallation begins; this involves cleaning and disinfecting the equipment at the site, followed by supervised deinstallation by a registered technician and transportation to the workshop. Third, the core refurbishment process involves replacing worn-out parts, cosmetic beautification, scrutinizing the machine inside and out, quality testing, and software upgrades, among other requirements. Upon completion of the third step, the equipment should be in compliance with OEM specifications. The fourth step is reinstallation of the device at the new site under the supervision of a registered technician. This leads to the final step: Warranty and service support, similar to what is offered for a new machine, is made available for the refurbished equipment. Reasons for choosing refurbished equipment include economic incentives, ensuring high clinical performance, restricting high-end imaging equipment for niche use, improving the age profile of the installed base, and reducing the obsolescence of the installed base, in toto, ensuring the utmost care and safety of patients. Environmental advantages include fewer landfills, reuse of parts, extended life of the equipment, and a smaller carbon footprint, harnessing the potential of the circular economy. Concurrently, the end user can keep the trust base with the patient. Radiologists with high-quality refurbished systems represent a viable diagnostic imaging upgrade, while hospitals seeking to stretch their budgets can purchase state-of-the-art medical imaging equipment, especially for new hospitals in emerging markets. Refurbished medical imaging equipment provides a good opportunity for economically strained end users, allowing them to acquire high-quality imaging equipment at a lower price. In mature markets, there is ready acceptance of refurbished equipment. However, emerging markets offer potential that must be harnessed. Educating end users, market penetration, and emerging business models are some challenges that the refurbished equipment market is facing. To this end, value chain players must come together to create straightforward business opportunities and fully capitalize on this domain. — Durga Chandrupatla is a senior research analyst with Frost & Sullivan.